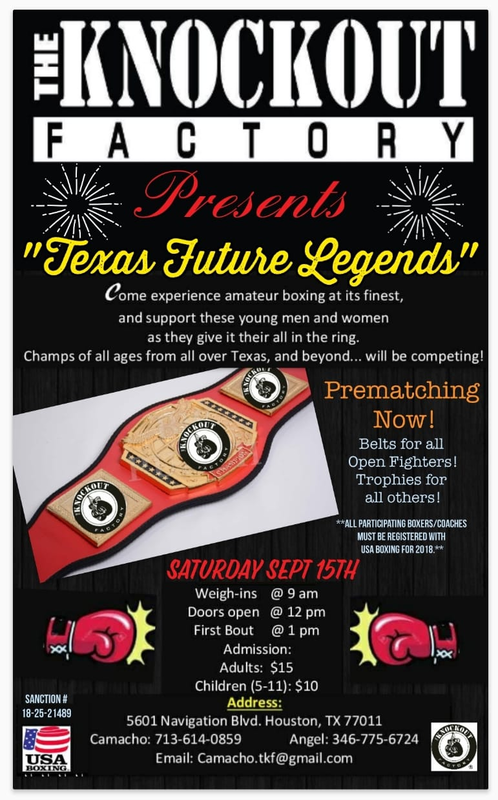 Friday show for YOUTH & SENIOR boxers only, 15 bouts. Belts will be awarded. Weigh-in at 4pm, first bout at 7pm. 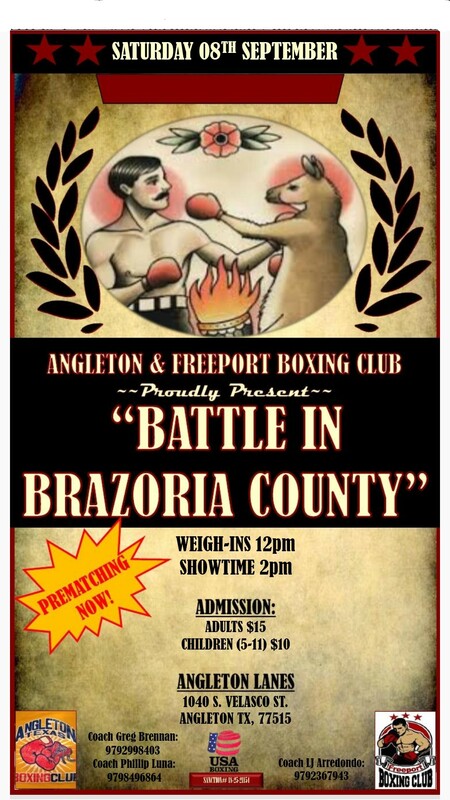 Saturday show is for all ages, 25-30 bouts. Weigh-in at 8am, first bout at noon. Pre-matches ONLY, no matches will be made on day of the show. No unmatched boxers will be weighed-in. Boxers & Coaches will receive wristbands for venue admission at the weigh-in. ALL BOXERS & COACHES MUST BE REGISTERED FOR 2016 with a new USA Boxing Membership ID card printed and put into passbooks. ALL BOOKS WILL BE CHECKED. If you are unable to post your roster below, then call it in to Angel, and/or text it to Mike Campbell, 832-439-8534, and we will post it for you. Saturday weigh ins will be from 8-10 at The Knockout Factory East End at 5601 navigation blvd 77011 we will only weigh in boxers scheduled to box Saturday. NO EXTRA BOUTS WILL BE MADE! We will hand out wrist bands for boxers and coaches (3 coaches per team) at weigh ins. Is there an updated list for the pre-matches on Saturday? I have a 9/60/2 if you’d like to match with Erin. Attn; All boxers & coaches participating in the Friday night fights “Texas Future Legends” show January 29, 2016 at “The Knockout Factory East End” location 5601 Navigation Blvd Houston, TX 77011, show-time @ 7:30pm. 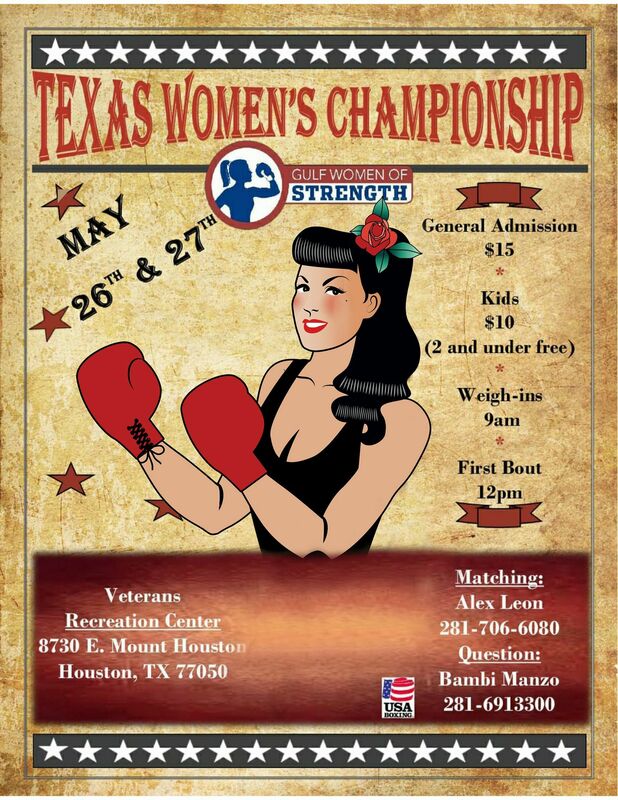 Weigh ins will take place at Lucky’s Pub at 801 St. Emanuel Street Houston, TX 77003 @ 4pm, near BBVA Compass Soccer stadium. 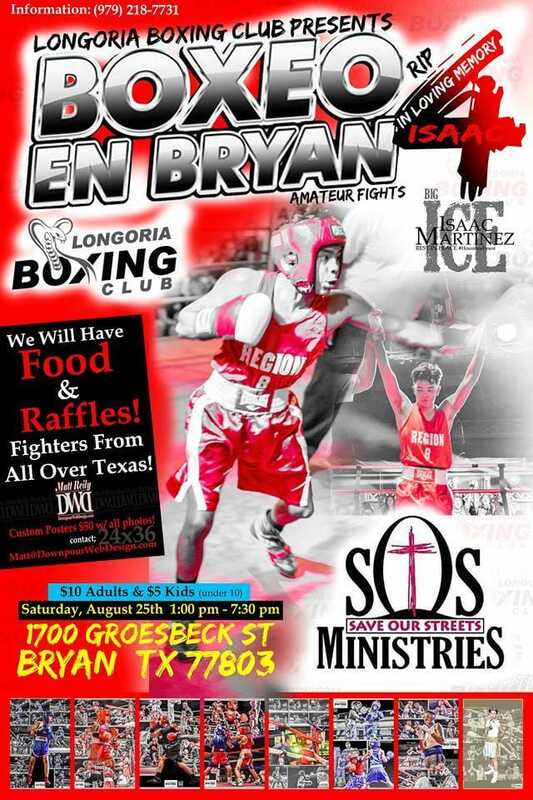 All boxers & coaches need to be there no later than 3:30pm to start the weigh ins. The weigh ins will resemble a professional boxing atmosphere setting. 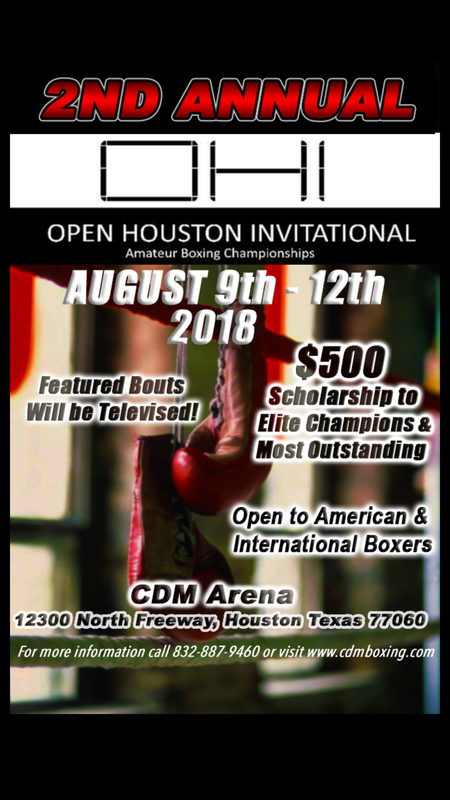 All boxers and coaches will receive their wrist bands, boxers and coaches unable to attend weigh ins at Lucky’s Pub will be able to weigh in and get their wrist bands at The Knockout Factory East End 5601 Navigation Blvd Houston, TX 77011 also the venue of the boxing event, no later than 6 pm. All boxers please bring your walk in music (no explicit / foul lyrics) only clean and/or instrumental versions for the DJ. Looking to match my female.